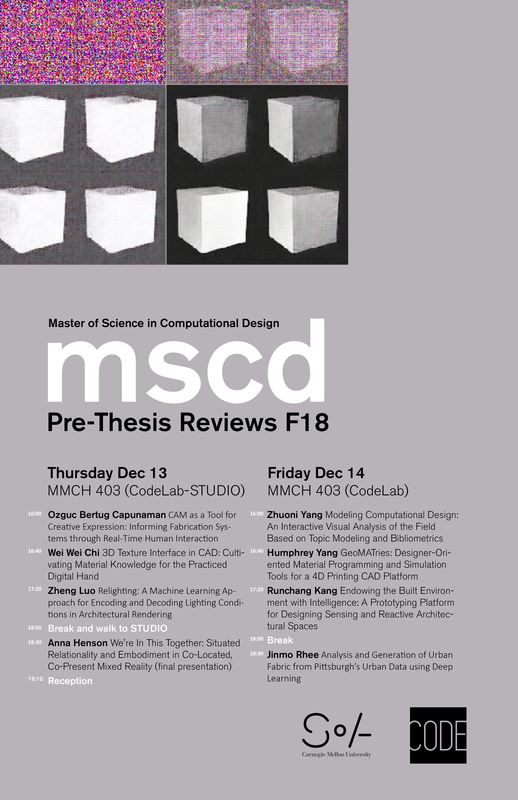 This semester’s MSCD pre-thesis reviews on Dec 13 and 14, from 4-7 at the CodeLab (& STUDIO). The reviews will also include Anna Henson’s final thesis presentation. External reviewers include Profs. Felecia Davis, Benay Gursoy (PSU), and Mine Ozkar (ITU).